Colosseo attended the ESSMA Summit in Munich, Germany on January 27th & 28th with a focus on smart stadiums, fan engagement and security. ESSMA (The European Stadium & Safety Management Association) was a two day event and was attended by numerous European football club representatives, league representatives and business partners. 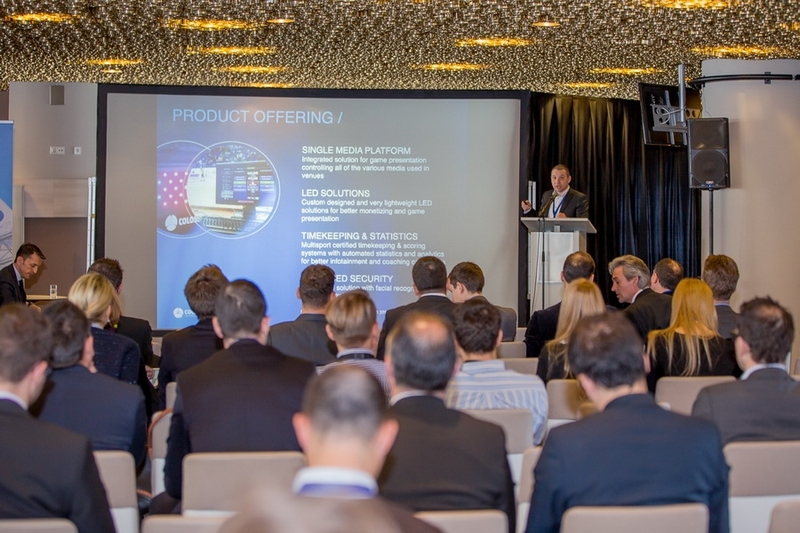 Day two included a workshop in which Colosseo was a partner and where venue representatives discussed their experience with implementing technologies such Wi Fi, mobile apps and cashless payment. 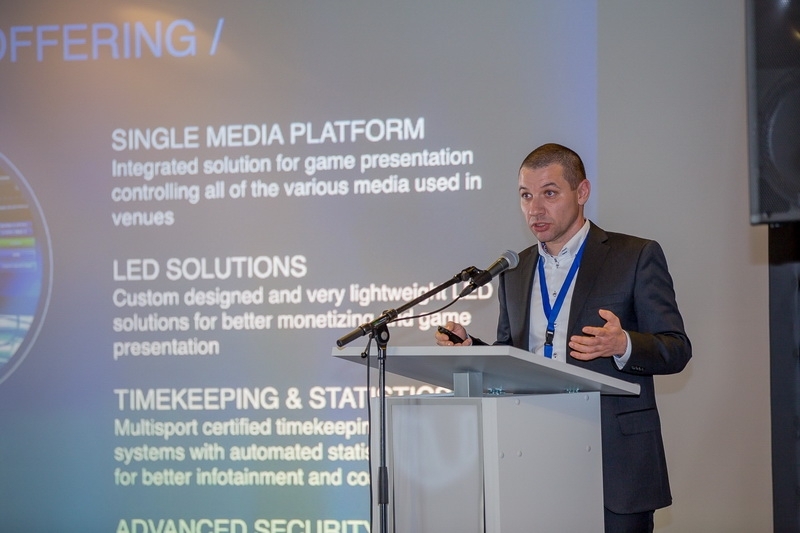 Colosseo presentation was about the Single Media Platform which is the most advance and user friendly system globally. The absolutely necessary shift towards a more interactive and inclusive sports venue environment is evident and the Colosseo Single Media Platform is the ultimate tool for sports venues looking to give their visitors the most spectacular fan experience imaginable. The importance of quality content is undeniable but the ability to seamlessly control and share content is the true difference maker and separates Colosseo from the competition. Video board content, light effects, mobile apps, cashless payment, security, etc. all become one under the Colosseo SMP and perform in an efficient and synchronized fashion instead of being plagued by various cumbersome subsystems unable to efficiently communicate with one another. A venue’s ability to quickly and cost effectively provide its visitors with quality content and enable the fans to interact with the game in real time is the next level of sports entertainment. Giving fans the ability to customize their live game experience depending on their personal preference is a path to converting casual fans into season ticket holders. Successful venues of the future must not only have these capabilities on paper, but also be able to fully utilize them during events without excessive cost and complications. Last but not least, venue security continues to play a more significant role every year and Colosseo is the worldwide leader in sophisticated facial recognition biometry for sports venues. This feature truly completes the definition of a smart stadium. Full autonomy for the venue without relying on third party integrators and operators ensures superior performance.